Okay, so these are not really resolutions ( just trying to be in the New Year's spirit). But here are 14 things I am anxious to see about the Red Sox as they attempt to defend the World Series championship. 1. To Drew or not to Drew. The last of this winter's Red Sox free agents to be unsigned. Stephen Drew turned down the $14.1M qualifying offer to test the market, and apparently the draft pick compensation this QO attaches to Drew has all but wiped out his market. The Mets are currently the only other team rumored to be mulling over Drew at all. Very little question the Red Sox would take him back for a one year deal, maybe even two. I would not be adverse to this and think Drew can help the 2014 Sox. But I think personally, I would rather go with Xander Bogaerts and Will Middlebrooks and cash in another draft pick when( if??) Drew signs elsewhere. This is likely to drag out until nearly the opening of spring training, if not beyond. 2. Trade of a veteran starter. I know, I know you can never have enough starting pitchers. Guess what the Red Sox have more starting pitchers than needed to fill out a rotation in Boston AND Pawtucket. I do not expect to see any action until near or during training camp, but someone is gonna go. Ryan Dempster or Jake Peavy are the most likely candidates, with John Lackey and Felix Doubront not out of the question in a bigger deal. Ryan Dempster going back to the NL could have real value for some team( Brewers, maybe). I read a list recently of starting pitchers who had a higher ERA in 2013 than Dempster. I do not recall the list, but one name was CC Sabathia. These first two items may be related, there is some speculation to stay under the luxury tax limit, the Sox would need to shed a pitcher's salary to be able to pay Drew. 3. Extensions. 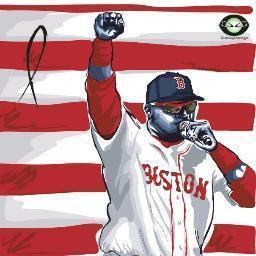 Will the Red Sox sign Jon Lester to a long term extension and give David Ortiz another year on his deal before the season starts? Lester just turned thirty this week. His current deal is up after 2014. The conventional wisdom is to keep Lester from being one of the top free agent pitchers in next year's class it would take around a five year $100M commitment, at minimum. I would swallow hard and do that deal. Lester is durable 30+ starts every year, left handed, and a five year deal brings him to age 35 or 36( depending if the deal kicks in after '14 or replaces the 2014 contract). With all of the young, cost effective (cheap) pitchers on the way, the Sox can afford to have one 20M+ pitcher in the rotation. And this may matter or not, but if Lester hits free agency, he will be signed by the Yankees so fast it would make the Ellsbury signing look like the long protracted talks to end the Vietnam War. As far as Ortiz, if it will make Papi happy to have another year on his deal rather than go into 2014 on his last year, give the man his money. Christ, he .660 or so in the World Series, and he has been an invaluable part of THREE Sox titles. We gave Mike Napoli 2 years at 17M per. Tear up Ortiz' deal give him 2 years at 18M per and if by some chance David cannot contribute fully by ( or before) the end of the two years, consider it a bonus for past performance. 4. Is Jon Lester an ace? Well, he sure as hell is in the post season. And in the World Series, he has now put up some of best numbers of all time. But is he an ace? That depends on your definition, but I would say if an ace gets a grade of 90, Lester is in the 85-89 area, at least. So if he is not an ace, why give him 20M per year as I suggested above. One reason, my friends is twenty mil does not go as far as it used to. The salaries across baseball have risen dramatically in the last two off seasons, and with new TV cash flooding the game it will continue. Very interesting year for Jon Lester in 2014, you can count on that. 5. Koji Time, Part 2? If Uehara can put up the kind of season remotely resembling 2013, the Red Sox are in great shape to repeat. But can he?....Koji is in his late 30's and pitched way more innings than in recent years and with an additional month tacked on in 2013 ( thankfully). If Uehara falters at all, is imported ex- Cardinal closer, Edward Mujica the replacement or complement? 6. The X Factor. Xander Bogaerts. He has arrived in The Show. How long before he is the center stage star of the Red Sox show? Xander joins Jacoby Ellsbury as the only two Red Sox rookies to help the team win a World Series before their official rookie season. I would expect Bogaerts to be hitting fifth or sixth behind Ortiz and Napoli, and while he may not be an All Star out of the gate ( but do not bet against this), he will be a solid productive player as he was in the World Series. Last Sox rookie with this much hype was probably Nomar. I, for one, cannot wait. 7. Jackie Bradley, Jr. Unless the Sox make a last minute unexpected trade, Bradley, Jr. is the starting center fielder. And he will be just fine. He is everything Jacoby Ellsbury was except he will not steal fifty bags and Bradley can actually throw the baseball. JBJr is a better defensive center fielder than Ellsbury ( and maybe all the other Al CFers) and his other strong suit is getting on base. A lot. Two factors have dissuaded some fans about Jackie. His poor showing at the plate in April 2013 and he always seems to get lumped together with Bogaerts. As far as comparing him to Xander, he is not in the same league as a prospect as Bogaerts. Maybe other than Mike Trout, Bryce Harper, and Manny Machado no one has been recently. No question JBJr struggled last April, but he was incrementally better at the plate each time he played for Boston last year. And in between the multiple call ups, Bradley, Jr. put up a very good year in his first AAA season, with he usual high OBP. he will fine in center in 2014. 8. Will Middlebrooks is a bust , right?? Will's career so far gives us a very good statistical baseline to explore. In his two partial MLB seasons, Middlebrooks has played in 169 games, just about exactly one full season. In that "season" he has 32 home runs , 103 RBI, .254 BA, and 294 OBP. First the negative, the on base percentage has to be higher than .294. After his recall last year he hit .276 with an OBP of .329. Much better. And if you can find a corner infielder with right handed power to the tune of 32 HRand 103 RBI per year, that my friends is no bust. 9. Is Daniel Nava a reliable big league outfielder? He certainly was in 2013, he was in the AL top ten in batting average and OBP. He hit more home runs than the rest of his brief career combined. But Nava is all ready in his 30's ( 31 next month). The answer to this question may come in 2014, Nava needs at least one more solid season to quiet some of his doubters. 10. Is John Lackey in Sox Nation good graces again? Another season from Lackey that mirrors his Angels' days ( as 2013 did) would also be a boon for the Sox chances to repeat. One thing lurking on the horizon, because John missed 2012 with an arm injury, he is obligated to play in 2015 for the minimum salary ( around $500,000), due to a clause in his original Sox contract. Will Lackey be okay with this or will this be a distraction as this year goes along. 11. Pedroia's Power Production. Dustin Pedroia certainly was a key cog in the 2013 Red Sox machine. But on Opening Day in New York, Pedey tore up his thumb sliding into first base. This was detrimental to his power numbers. His BA and OBP nearly were identical to his career averages, but Dustin hit only 9 home runs, only his rookie season with 8 was lower. In 2010 when he broke his foot he hit 12 and every other year he has hit between 15 and 21. His slugging average was .415 in 2013 compared to his lifetime average of .454. His lowest season before 2013 was .442 as a rookie. A healthy Pedroia can be a source of any missed offense from the absence of Ellsbury, Salty, et al. 12. Catchers- Old and New. David Ross, one of the World Series heroes, returns to share the job this year with veteran import AJ Pierzynski. If Ross can avoid a repeat of 2013's concussion issues, he should see more playing time. His work in the post season with Jon Lester, in particular, was outstanding, and would seem to indicate a paring of Lester and Ross during 2014. Even though Pierzynski is about 8 or 9 years older than Jarrod Saltalamacchia, their offensive numbers in recent years have been very similar, and so the overall production from behind the plate should not suffer much, if any. If either of the veteran catchers should slump or get injured, there are younger options. For now, at least, Ryan Lavarnway is still on the scene, but considering the Sox played him very sparingly while David Ross was concussed, he seemingly has been passed on the depth chart by Christian Vazquez, who is slated to begin 2014 in AAA. Vazquez, a great defensive catcher with a fantastic arm, began to show signs of producing with the bat at Portland in 2013. If he shows any prowess hitting at Pawtucket, Christian could be a contributor in Boston this year. On top of that uber-prospect Blake Swihart will begin 2014 catching for the Sea Dogs. 13. Young Guns on the Hill. Here are some of the pitchers who will be knocking on the door to Boston ...if not in 2014, surely in 2015. Brandon Workman( he has kicked in the door, but a return to starting may mean a return to AAA), Allen Webster, Anthony Ranaudo, Rubby de la Rosa, Matt Barnes, Drake Britton, Stephen Wright, and heading the Portland rotation, Henry Owens. It is hard to say now, who will help out in Boston, but I bet at least two names on this list pitch big innings for Boston this year. And one more prediction.....Henry Owens will pitch for Boston this year. 14. Can the Red Sox Repeat? In this century, the Red Sox have done a helluva lot that most of us had never seen. Ending the curse and winning the World Series and then three years later won a second time. In 2013, they emulated the Impossible Dream Red Sox going from last to first only going one step better and winning the whole damned thing (for number three). 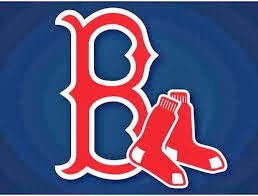 But one thing the Red Sox have not done in almost one hundred years is win back to back World Series. 1915 and 1916 is the only time in franchise history the Sox repeated. This would be another more than a lifetime achievement. Let us hope they make a real run at the repeat.